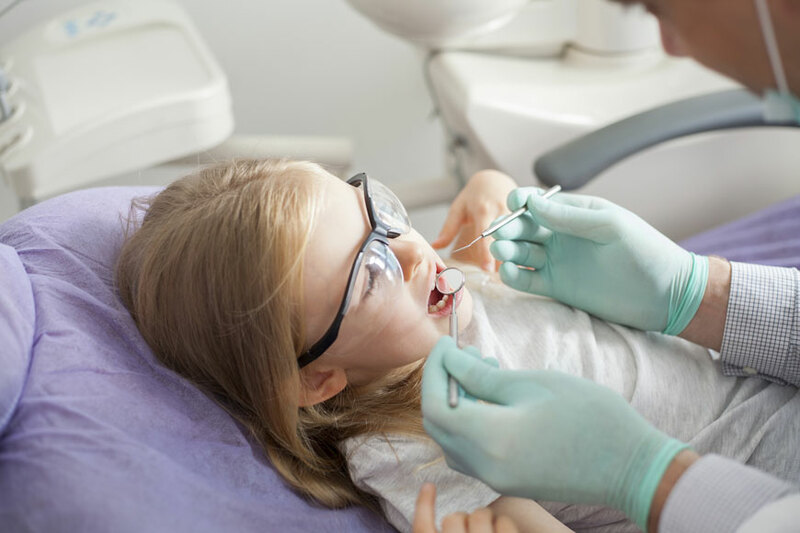 Preparing yourself and your child for an upcoming visit to the dentist can be quiet challenging, especially when you don’t know what to expect. As with any child, the key is in preparing your child for his upcoming visit. Sometimes, for a child with Autism Spectrum Disorder (ASD), preparation can start any time from one month in advance to a few months in advance for the parents and the dentist to get the best results. Before delving into the tips every parent needs to know, let’s ask ourselves one question: what makes an child with autism's visit to the dentist so special? Simply, a child on the spectrum truly has different needs that we as health care professionals must absolutely provide for in their visit. It’s no longer the “one size fits all approach”. It is tailor making the approach to better suit your child’s individualistic needs, likes/dislikes, tantrum and a whole lot more! Let the team know before hand your coming in with your child, and give them a brief about your child’s condition. Request the appointment time that your child can be nice and calm at. It’s always a good idea to avoid nap times as children may be cranky right before it or disoriented directly after it. Let the dentist know your child’s likes/dislikes (sensitivities or specific aversions) ahead of time. It will give a chance to cater to the child’s specific needs and make the visit as autism-friendly as possible. Unfortunately though, as much as we would like to avoid triggering our child’s sensitivity, the dental office is full of triggers varying from weird loud noises, awful smells, bright lights and odd tastes. A dental office may sometimes be more like an attack on the senses for a little one with autism! Even though we can’t change this as a fact, but our understanding of that as parents and healthcare professionals allows us to see the visit in a completely different light! Shorter (to non existent waiting times) will make sure the child has less chances for a melt down during the waiting area! Believe it or not, just starting early with strict oral hygiene protocols helps your little one in their dental visit. Unfortunately, sometimes parents have a lot on their plate and they make oral health a second priority. The big problem comes when their child develops a cavity that needs to be filled. Coming in with pain is already “game over”. Since work needs to be done, whether the child is acclimatised to the dentist and the office or not, the procedure must be done! Sadly most children with autism don’t accept the toothbrush easily. Don’t lose hope, it’s a great idea to see the dentist first before taking your child in to be seen by the dentist. They can strategise with you and come up with effective ways to introduce the brush and the paste. With children they always say “consistency is key”; with autism, it is an absolute must you be consistent with your efforts until you crack the “code”! I assure you, from experience, it will be cracked eventually; it just needs persistence, perseverance, and every adjective you can apply for just plain surviving! It takes sometimes trying every brush and paste in the market for the one brush and one paste to work! You can do it! Have one message or story for your child on daily repeat: “oral health is a part of your daily bodily routines”- it is important! Again, since the child needs to take care of his body either way, it can be combined effort instead of two separate things. They are a great and powerful tool. They work on so many levels. Letting the child know what to expect and how to expect it can be the difference between night and day. Social stories and visual guides of going to the dentist explain the situation quiet clearly to a child in a way that makes it less threatening and more acceptable. Honestly, they may not work with every child. Sometimes, the child learns the social story, but pulls a tantrum at the dentist’s office all the same. However, reviewing the social story daily allows for an element of familiarity; more often than not, the child’s tantrum is more like objecting to treatment rather than being scared or psychologically traumatized from treatment! It so happens, he/she is not in the mood to help! Completely understandable! It happens! Some dentists have a personalised social story, getting in touch with them early allows for you to train your child to this particular dentists office! To conclude, there are a lot of challenges that are present to you as a parent of a child with ASD. The great news is: with a lot of love and acceptance, a little amount of preparation, some tips and tricks, you and your dentist can give your child the great dental visit he needs and deserves.